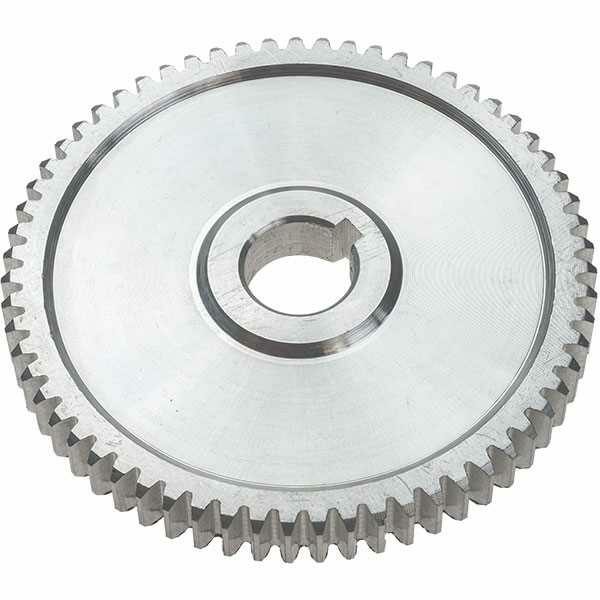 63 tooth metal change gear suitable for SIEG C2, C3, SC2, SC3 and other mini-lathes. Click the 'More' tab for a link to Neil Wyatt's article in Model Engineers' Workshop magazine No. 204 discussing how you can use a 63 tooth gear to cut both Metric and Imperial threads on a Mini-Lathe. Note: Additional gears beyond those supplied with your machine may also be required to cut some threads. See a copy of Neil Wyatt's article Universal Thread Cutting on a Mini Lathe from Model Engineers' Workshop issue 204. The article includes 3 pages of tables showing change wheel combinations to cut all standard BSW, BSF, BSP, BA, UNC, UNF and Metric threads (within the capacity of the Mini-Lathe) for Mini-Lathes fitted with either a 16TPI, 1.5mm or 2mm leadscrew.